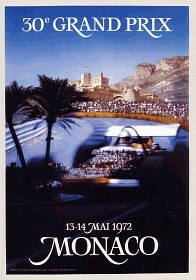 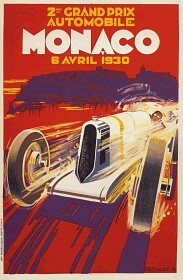 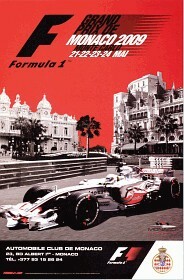 "The entire collection of Grand Prix de Monaco posters ever published from 1929-2009. 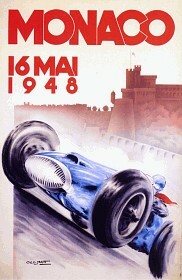 This complete collection of posters offers insight into the race's history and also the history of the 20th century as changes in artistic style and automobile design changed over the decades." 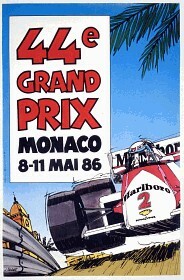 With detailed descriptions of each race and each poster, a list of artists, and a one page bibliography. 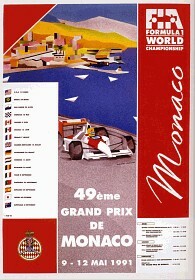 The book shows the personal collection of posters of William W. Crouse who started collecting in 1997, and has managed within a few years to have the complete series of the annual Prix Automobile de Monaco Posters. 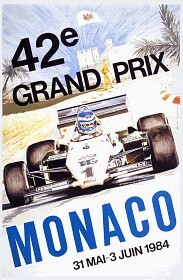 Included are some posters for the Monte Carlo Rallies, and black-and-white photographs of cars and drivers. 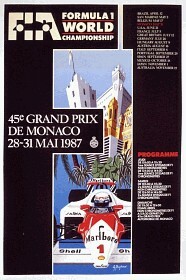 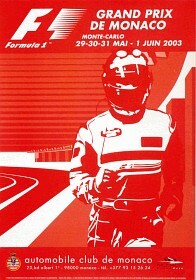 Automobile race posters are popular and sought-after, and therefore expensive, items in many poster auctions. 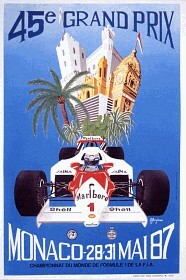 They are similar to movie posters in many respects: They are collected more for the subject and less for their artistic qualities, the collectors like the movie star Brigitte Bardot or the driver Ayrton Senna, they admire Hitchock or Ferrari, King-Kong or Monaco. 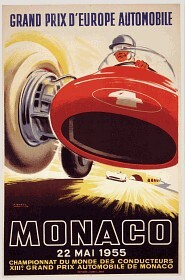 Also, both in movie and car posters, the designers initially have the freedom to produce art as they like until their clients, the powerful executives of huge companies, begin to think that they also know what a good poster is and how it has to look like to attract visitors. 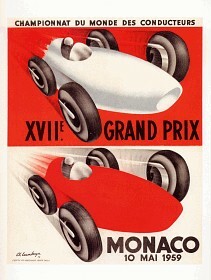 The results of this development may be commercially succesful, but are usually esthetically disastrous: compare the first row of pictures below with the last row. 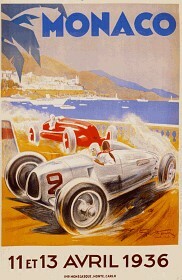 Georges Hamel, considered by many as the most talented automobile poster artist, was a race car driver himself, and competed in Monaco and Le Mans before concentrating on posters and illustration for the races. 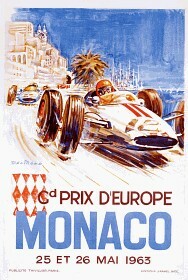 The 1961 poster, a typographic design on a black background by an unknown artist, was banned by the orgnizers as too morbid. 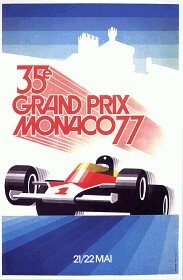 The 1971 design, although personally chosen by the Prince, was rejected by the Automobile Club of Monaco because they feared that the three drivers shown on the poster might not all survive until the poster was published. 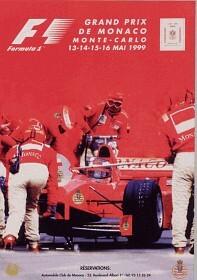 The Formula One racing industry has an annual television audience of 600 million spectators, revenues of US$ 4 billion, a race car costs about US$ 15 million apiece, and driver Michael Schumacher is one of the highest paid athletes with US$ 650 million earned during his career. 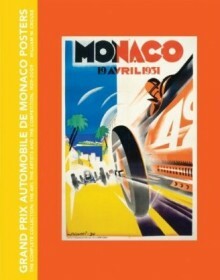 In its concentration on the same topic shown over a span of 80 years, the book is also an interesting review of poster history: The early painting style that yielded to photography in 1972, text tilted at an angle appearing in 1984, 30 years after Mueller-Brockmann pioneering work, and its disappearence again, or the takeover of advertising agencies with anonymous designers in the 1990's.